Diabetic kidney disease (DKD) is the leading cause of end-stage renal disease in the Western world. Standard treatments have ultimately proven ineffective in blocking DKD progression, thus necessitating the design of new therapies to complement glycaemic and blood pressure control. High glucose levels upregulate the immune-related molecule B7-1 in podocytes, and such an event may play a relevant role in DKD onset, suggesting that B7-1 is a suitable therapeutic target for DKD. CTLA4-Ig is a clinically available fusion protein, approved for the treatment of some autoimmune diseases, which binds B7-1 and blocks its signalling. We have previously demonstrated that CTLA4-Ig restores the physiological structure and cellular motility of podocytes challenged with high glucose in vitro and abrogates the onset of proteinuria in murine models of DKD in vivo. Notably, these beneficial effects occurred independently of any systemic immunological effects of CTLA4-Ig. While the expression of B7-1 on podocytes raises questions regarding the very nature of the podocyte as we know it, the preliminary positive effect of CTLA4-Ig on proteinuria in preclinical models and the evidence of B7-1 expression in kidney biopsies of diabetic individuals suggest a potential novel indication for CTLA4-Ig in DKD. Nonetheless, recent reports of problems with detecting podocyte B7-1 and of inconsistent therapeutic efficacy of CTLA4-Ig in proteinuric patients highlight the necessity to establish uniformly accepted protocols for the detection of B7-1 and underline the need for randomised trials with CTLA4-Ig in kidney diseases. Diabetic kidney disease (DKD) affects nearly 40% of patients with type 1 and type 2 diabetes [1, 2] and accounts for 44% of end-stage renal disease (ESRD) cases in the USA . DKD is associated with increased urinary albumin excretion, progressive decline of GFR and increased systemic blood pressure, ultimately leading to kidney failure . Changes in kidney structure and function begin with glomerular hyperfiltration, followed by hypertrophy, podocytopenia, expansion of mesangial components and thickening of the basement membrane, which eventually progress to classical glomerulosclerosis and tubulo-interstitial alterations . These pathological changes have been correlated in the past with the clinical progression of microalbuminuria (AER >30 mg/24 h and ≤300 mg/24 h) to macroalbuminuria (AER > 300 mg/24 h) ; however, recent data suggest that not all diabetic patients advance to overt proteinuria—with some even regressing to normoalbuminuria [6, 7]—and that GFR decline may occur in the absence of albuminuria . Nonetheless, albuminuria remains a strong risk factor for cardiovascular mortality , and proteinuric patients are likely to die of a cardiovascular event rather than progressing to ESRD and/or undergoing dialysis or a renal transplant procedure , thus suggesting that both GFR-sparing and AER-reducing strategies should be taken into account for the treatment of kidney complications in diabetic patients . The current therapeutic paradigm for the primary prevention of DKD focuses mainly on the strict management of hyperglycaemia and targeting the renin–angiotensin–aldosterone system when hypertension is present. Strict blood glucose control (HbA1c <7%; <53 mmol/mol)  plays a pivotal role in reducing the risk of DKD in both type 1 and type 2 diabetic patients . Notably, a recent Cochrane meta-analysis confirmed the effectiveness of tight glucose control on primary prevention of microvascular complications; however, the effects on the progression of DKD seem to lessen once these complications have become manifest . Much evidence suggests that patients with DKD greatly benefit from treatment with angiotensin-converting enzyme inhibitors and angiotensin receptor blockers . The renoprotective activity of these drugs not only relies on their reducing intraglomerular pressure , but also on inhibiting the induction of proinflammatory and profibrotic mediators, which play a critical role in further jeopardising renal function . Unfortunately, although these treatments can delay the onset of DKD, they cannot ultimately prevent it. Podocytes are a subset of terminally differentiated epithelial cells located within the kidney glomerulus that build a fine cellular and multiproteic filter through which plasma can percolate to produce a virtually protein-free milieu [17, 18]. Apart from being essential structural components of the renal filtration barrier, recent data suggest that podocytes may also be regarded as immune-like cells of the glomerular microenvironment. Indeed, under inflammatory conditions, podocytes exhibit increased expression of MHC class I and II molecules and are also capable of removing immunoglobulins and immune complexes from the glomerular membrane . Furthermore, podocytes can acquire and process antigens to stimulate specific CD4+ and CD8+ T cell responses, mimicking some of the functions of dendritic cells or macrophages of hematopoietic origin . Podocytes have also been shown to constitutively express Toll-like receptor 4 (TLR4), and stimulation with TLR4-specific ligands results in potent induction of the costimulatory molecule B7-1 and a wide array of proinflammatory and profibrotic factors [20, 21]. In this respect, stimuli of a broad nature have been linked to modification of the podocyte secretome in vitro and in vivo, leading to enhanced secretion of cytokines/chemokines (e.g. IL-1, monocyte chemoattractant protein-1 and IL-8) [22, 23, 24], which may favour the recruitment of inflammatory cells  or alter podocytes in an auto-/paracrine fashion . Podocytes also express elements of the complement system in normal (e.g. complement receptor 1 [CR1])  and pathological (e.g. C5a receptor)  conditions. Finally, podocytes can express CD40, and autoantibodies against this protein have been shown to predict proteinuria onset in focal segmental glomerulosclerosis (FSGS) . This newly suggested nature of podocytes as immune-like cells, although far from being fully demonstrated, could provide an entirely new spectrum of therapeutic targets to enrich classical strategies for the preservation of kidney function in multiple diseases . B7-1 (also termed CD80) is a transmembrane protein usually expressed by antigen-presenting cells which, upon engagement of CD28 expressed by T cells, provides a positive costimulatory signal in the context of antigen recognition, leading to T cell activation, proliferation and survival [30, 31] (Fig. 1a). In 2004 Reiser et al reported that in vitro exposure of podocytes to lipopolysaccharide (LPS), a component of the outer membrane of Gram-negative bacteria that elicits strong immune responses, could unexpectedly result in the upregulation of B7-1, with alterations of podocyte shape and mild transient proteinuria when administered in vivo in a murine model of nephrotic syndrome . More recently, other stress factors have been linked to podocyte B7-1 induction. For example, albumin has been shown to induce B7-1 expression via a cyclooxygenase-2-mediated mechanism, causing podocyte damage in vitro and albuminuria in vivo , while plasminogen activator inhibitor type 1 directly injures the podocyte by increasing desmin and B7-1 mRNA expression . Hypoxia inducible factor-1 has also been reported to cause cytoskeleton rearrangement and increased podocyte motility by interacting with B7-1  and, recently, polyinosinic–polycytidylic acid (polyIC) treatment in mice has been shown to result in podocyte B7-1 upregulation and the onset of proteinuria . Interestingly, despite some contrasting findings reported by Ishimoto et al, indicating a certain degree of urinary protein excretion in B7-1 knockout mice (probably due to the persistence of the intracellular portion of B7-1 in the knockout mice) , our group and others  have demonstrated that B7-1 knockout mice are protected from LPS- or hyperglycaemia-induced proteinuria, and that mice without B and T cells fail to develop proteinuria after podocyte B7-1 inhibition with CTLA4-Ig, a clinical-grade fusion protein. The protein, which consists of the extracellular domain of human CTLA4 linked to the modified Fc portion of the immunoglobulin G1, selectively binds B7-1 and is used as an immunomodulatory agent in a variety of autoimmune conditions (Fig. 1a and Table 1) . The efficacy of CTLA4-Ig in the absence of a competent immune system suggests that a systemic response could not explain the anti-proteinuric effect of B7-1 targeting . More recently, Mundel and colleagues proposed a potential mechanism of B7-1-mediated podocyte damage, hypothesising that the upregulation of extracellular B7-1 is intimately connected with the state of activation of α3β1 integrin  (Fig. 1b). Podocyte foot processes are longitudinally anchored to the glomerular basement membrane predominantly via α3β1 integrin, an obligate heterodimer (α/β subunits) that, depending on mutual interactions between the integrin cytoplasmic tails and elements of podocyte cytoskeleton, oscillates between low or high affinity states for specific amino acid motifs of the glomerular basal membrane [37, 38]. The findings to date suggest that podocyte B7-1 would negatively modulate α3β1 integrin through direct interaction with integrin tails and mechanistically compete with talin  (a cytoskeleton-associated protein with important bridge functions between the cell membrane and the cytoskeleton) [18, 37] (Fig. 1b). However, additional roles for B7-1 in podocytes cannot be excluded. The cytoplasmic tail of B7-1 has been demonstrated to be necessary and sufficient to block α3β1 integrin activation, thus causing morphological and functional alterations in the podocyte [18, 37]. In vitro treatment of podocytes with CTLA4-Ig inhibited the effect of B7-1 on α3β1 integrin, preventing disease-associated podocyte migration, which is thought to be a primary cause of glomerular barrier disruption and a surrogate for proteinuria onset in vivo (Fig. 1b) [18, 37]. Importantly, in the clinical setting, CTLA4-Ig treatment induced partial or complete remission of proteinuria in four patients with rituximab-resistant secondary FSGS  (treated with a single [n = 2] or double [n = 2] injection at a dose of 10 mg/kg), and in one patient with steroid-resistant primary FSGS  (treated with multiple monthly doses of 10 mg/kg), thus suggesting that CTLA4-Ig may have anti-proteinuric effects. Upregulation of podocyte B7-1 also occurs in other clinical conditions characterised by intense proteinuric states. Induction of B7-1 was reported on glomerular podocytes of patients with relapsing minimal change disease (MCD), while it was undetectable in other renal cell subsets . The soluble form of B7-1 was also higher in the urine of relapsing MCD patients compared with individuals with the remitting form of the disease or other conditions, such as systemic lupus erythematosus or glomerulopathies of a different nature . Administration of CTLA4-Ig to B7-1-positive MCD patients produced a dramatic fall in urinary B7-1 and resolution of proteinuria, whereas no therapeutic efficacy was seen in one individual with primary FSGS and three individuals with recurrent FSGS with mild or absent B7-1 expression at the glomerular level . In this respect, there have been reports of problems with detection of podocyte B7-1 and artefacts with immunofluorescence analysis (due in some cases to the use of secondary antibodies directed against goat primary antibodies which can unspecifically cross-react in a proteinuric kidney) [43, 44], highlighting the difficulty of unmasking the dynamic process of upregulation of B7-1 in a timely fashion and the necessity to establish uniformly accepted protocols for its detection. The difficulty of consistently identifying B7-1-positive individuals caused non-linear patterns of CTLA4-Ig therapeutic efficacy (i.e. inconsistent efficacy) in individuals with FSGS. This was mainly due to the absence of negative and/or positive controls in the evaluation of B7-1 expression, and the use of belatacept rather than CTLA4-Ig. Despite targeting both B7-1 and B7-2 (thus some efficacy could be expected in B7-1-positive patients), belatacept has different routes of administration compared with CTLA4-Ig, and greater affinity for B7-2, which is not expressed by podocytes [45, 46, 47]. Understanding the limitations of such negative reports may help to avoid misunderstandings related to the efficacy of CTLA4-Ig in proteinuric kidney diseases. We recently reported that podocyte B7-1 is upregulated in the context of DKD . In vitro exposure of podocytes to high glucose (30 mmol/l glucose concentration) induced a specific, time-dependent, PI3K-mediated upregulation of podocyte B7-1, which was associated with loss of synaptopodin and of activated α3β1 integrin expression, with disruption of cytoskeletal actin filaments and alteration of cellular motility . Notably, the addition of CTLA4-Ig to the culture medium prevented the detrimental effects of B7-1 and reversed the pathological features described above . High glucose and B7-1 expression also caused podocyte apoptosis and necrosis in vitro, while CTLA4-Ig treatment significantly reduced the rate of controlled and necrotic cell death. CTLA4-Ig induced a shift in the pro-/anti-apoptotic balance towards podocyte survival and increased the expression of the anti-apoptotic protein Bcl-2, also blunting the activity of the cascade initiator caspase 9. We subsequently demonstrated that B7-1 upregulation was associated with worsening of kidney damage and with an increase in proteinuria in murine models of type 1 (streptozotocin-induced C57BL/6) and type 2 (db/db) DKD . Treatment with CTLA4-Ig prevented the increase in urinary albumin excretion and histopathological damage to the kidney  and, importantly, reversed established proteinuria in streptozotocin-treated C57BL/6 mice. Diabetic mice lacking B7-1 did not benefit from CTLA4-Ig administration and displayed lower urinary protein excretion compared with their diabetic wild-type counterparts when left untreated, confirming that B7-1 is detrimental to kidney function and is required for CTLA4-Ig to deliver therapeutic efficacy. Finally, we demonstrated the expression of B7-1 in biopsies of individuals with type 2 diabetes and DKD-related glomerular lesions. B7-1 expression was specifically found at the podocyte level, and its degree of upregulation increased with the severity of renal damage, and was accompanied by a parallel loss of synaptopodin expression. 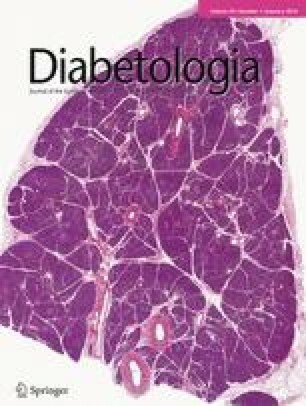 Interestingly, we found a significant correlation between the baseline plasma concentration of the soluble form of CD28  and the cumulative incidence of progression to ESRD in a cohort of 200 individuals with type 2 diabetes [18, 49], thus identifying an additional possible soluble mechanism for podocyte B7-1 triggering . As mentioned earlier, CTLA4-Ig (abatacept, Orencia™, Bristol-Myers Squibb, USA) is a soluble fusion protein that selectively binds B7-1, thus blocking the CD28–B7-1 interaction between T cells and antigen-presenting cells (Fig. 1a). CTLA4-Ig has been approved by the Food and Drug Administration and European Medicines Agency and is registered for the treatment of rheumatoid and juvenile idiopathic arthritis [36, 50]. CTLA4-Ig is administered intravenously, and its half-life is 17 (range: 12–23) days . The adult dosing regimen for the registered diseases includes a dose ranging from 500 to 1,000 mg depending on body weight and can be administered either by the endovenous or subcutaneous route . The recently approved subcutaneous formulation has comparable efficacy and a similar adverse effect profile to the intravenous formulation . CTLA4-Ig has been administered in more than 4,000 patients in different clinical trials and has been shown to have an optimal profile of efficacy, safety and tolerability . In addition to its well-known use as a biological immunomodulatory agent for the treatment of arthritis, CTLA4-Ig has also been employed in the therapy of recent-onset type 1 diabetes in a double-blind randomised controlled trial, where patients were assigned to receive monthly intravenous doses of either CTLA4-Ig (10 mg/kg) or placebo for 2 years, to test the efficacy of CTLA4-Ig in delaying the loss of beta cell function . Unfortunately, despite continued administration, the advantage of CTLA4-Ig therapy on beta cell function sparing, was less evident after the first 6 months of treatment compared with placebo , but the side-effect profile was deemed to be safe (Tables 1 and 2). In agreement with a critical role of podocyte B7-1 in the pathogenesis of kidney disease, CTLA4-Ig has been used for the first time as a specific proteinuria-targeting agent in individuals with B7-1-positive FSGS, successfully reverting urinary protein excretion to normal range thanks to a podocyte-stabilising action on the glomerular basement membrane  (Table 1 and Fig. 1b). However, whether those effects in patients result from direct podocyte repair or instead are independent of podocyte B7-1 expression remains to be established, and this represents a necessary step before promoting routine treatment of selected groups of biomarker-positive patients. Due to the similar pathogenic mechanisms involved in the onset of proteinuria in FSGS and DKD, we now envision the application of CTLA4-Ig therapy in patients with diabetes and initial signs of kidney damage. Patients with normal or mildly reduced renal function (estimated GFR between 45 and 125 ml min−1 1.73 m−2 at screening) and albumin excretion rate levels in the high-micro- (90–300 mg/24 h) or macro- (301–2,500 mg/24 h) albuminuria range would possibly benefit from a proteinuria-targeting therapy with CTLA4-Ig. The rationale of these inclusion criteria would be to target those patients who still have partially conserved renal function but are at risk of a rapid decline in GFR. A pilot clinical trial investigating whether CTLA4-Ig can control albuminuria in individuals with DKD should be based on the experience collected on the treatment of the diseases for which CTLA4-Ig is approved (i.e. rheumatoid arthritis, FSGS): monthly intravenous boluses (10 mg/kg) or weekly subcutaneous self-administration of CTLA4-Ig (125 mg), with bi-monthly follow-up visits for urinary albumin excretion, GFR and adverse effects occurrence monitoring. Albuminuria would be the ideal candidate biomarker due to the rapid kinetic of change in its concentration and its direct relationship with the anti-proteinuric effect of CTLA4-Ig. Conversely, measurement of the GFR trajectory would require multiple estimations to assess any changes, and the absence of conclusive data on the relationship between GFR and B7-1 expression in type 2 DKD, would not justify its use as a primary endpoint. Based on the data collected on the successful treatment of proteinuria in FSGS with CTLA4-Ig, a reduction of urinary albumin excretion rate by 50% within the first few months of therapy could be expected. It is important to note that, although B7-1 was first discovered in a murine model of lupus nephritis, in a clinical trial studying the effect of CTLA4-Ig in lupus nephritis, treatment did not achieve the primary efficacy measure of the study, which was a composite measure of maintenance of GFR, minimal proteinuria and inactive urinary sediment over the treatment period. Nonetheless, CTLA4-Ig treatment in individuals with lupus nephritis was associated with improved levels of anti-double stranded DNA antibodies, complement (C3 and C4) and a reduction of 20–30% in the albumin:creatinine ratio. Several limitations may have masked treatment efficacy, including a disproportionate allocation of patients with low urinary protein in the placebo arm and a stringent definition of confirmed complete response (which required the estimated GFR to be equal or higher than 90% of the reference value), which led to the exclusion of patients who only showed a reduction in proteinuria, thus decreasing the confirmed complete response rates. This is of particular importance considering that the primary effect of CTLA4-Ig in B7-1-positive patients is in fact anti-proteinuric . Long-term exposure to CTLA4-Ig has been associated with a consistent safe profile during follow-up. Specifically, patients receiving CTLA4-Ig therapy reported minor adverse effects such as headache, nausea, dizziness, cough, back pain, rash and a low incidence rate of more serious side effects (Table 2). Clinical trial and post-marketing surveillance data have indicated an increased risk of opportunistic infections, autoimmune events (the most common being psoriasis) and infusion-site reactions [56, 57]. Additionally a low incidence of certain malignancies has been reported, consistent with those in a comparable rheumatoid arthritis population (1.4% vs 1.1% for CTLA4-Ig vs placebo, respectively). CTLA4-Ig has also demonstrated low immunogenicity rates, with any occurrence being transient and of a low titre . Given the chronic nature of the diseases for which CTLA4-Ig is approved, these data are of particular relevance to clinicians who use CTLA4-Ig in daily clinical practice and need treatments that not only provide a rapid positive response but also minimise long-term safety risks. In this respect, no official studies are available regarding the effects of renal impairment on the pharmacokinetics of CTLA4-Ig; however, because it has a high molecular weight (~100 kDa), CTLA4-Ig is unlikely to be excreted by the kidney, and no strict dose titration is recommended in patients with renal impairment , as in the case of patients with DKD. The evidence that podocytes both upregulate B7-1 in response to LPS or other stimuli, and process/present antigens through MHC class I and II molecules suggests that they may possess functionalities similar to antigen-presenting cells, reacting to innate immune-specific antigens—as in the case of LPS via TLR-4—or responding in an antigen-specific fashion and priming both CD4+ and CD8+ T cells . These preliminary findings are further supported by the evidence that podocytes and macrophages share expression of lineage commitment genes (common expression of the transcription factor MafB) as well as other genes . However, due to the interposed basement membrane, the primary function of this response remains unclear. Considering the ultrastructural composition of the podocyte and its contractile nature, another possible interpretation of these events is that, by sensing foreign antigens and by increasing glomerular permeability, the podocyte could facilitate urinary excretion and the removal of toxins or antigens. It should be noted that activation of B7-1 can also be triggered by stimuli of a non-antigenic nature [18, 32, 37]. We recently described a novel feature of renal podocytes—their ability to act as immune-relevant cells of the glomerular microenvironment during stimulation with high glucose concentrations in vitro and hyperglycaemia in vivo . Hyperglycaemia elicits a response that leads to the disengagement of α3β1 integrin from the glomerular basal membrane and from the cytoskeletal complex, which in turn results in changes in podocyte conformation/motility in vitro and proteinuria in vivo , as reported for other stimuli in previous studies [32, 33, 34, 37]. The availability of a clinical-grade drug capable of targeting B7-1 makes this field of investigation particularly attractive (Table 1). The evidence that CTLA4-Ig effectively binds B7-1 at the podocyte level when administered in vitro, and that its positive effects take place independently of the immune system—previously reported to be involved in DKD progression —led us to hypothesise that CTLA4-Ig may exert a novel anti-proteinuric function in B7-1-positive kidney diseases [18, 37] (Fig. 1b). Although the signalling that underlies podocyte B7-1 activation and its proteinuria-triggering role has recently been defined, the mechanism of CTLA4-Ig action on B7-1 has yet to be revealed. CTLA4-Ig could either sterically block the interaction of B7-1 with α3β1 integrin or could alter the tertiary structure of B7-1, impeding the translocation of its cytoplasmic tail towards integrin tails. Another potential mechanism of action involves competition of CTLA4-Ig with soluble CD28 for binding to B7-1, the latter being associated with a worse outcome in ESRD patients . This last possibility could be further explored given the availability of the fusion protein CD28-Ig for both in vitro and in vivo studies. Importantly, by specifically targeting proteinuria—a demonstrated determinant of renal function decline —CTLA4-Ig would have a different therapeutic action from the anti-hypertensive and glucose-lowering approaches attempted thus far. In this respect, a strategy to demonstrate that CTLA4-Ig has therapeutic efficacy in podocyte B7-1-positive patients would be particularly helpful. Since a kidney biopsy-based strategy to study renal expression of B7-1 is not feasible, great efforts should be made to identify the subgroup of B7-1-positive individuals who are more likely to benefit from CTLA4-Ig treatment. As in the case of rheumatoid arthritis, where circulating B7-1 protein levels were found to predict the response to CTLA4-Ig , a peripheral proxy (e.g. plasma and/or urine) of podocyte B7-1 expression would not only represent an easy method of selecting those patients to be treated but would also provide a practical means of following up these individuals and assessing the efficacy of CTLA4-Ig administration over time. Of the candidate factors affecting podocyte function in DKD , it would be particularly interesting to investigate whether, as suggested by our data , soluble CD28 per se represents a circulating molecule that causes B7-1-dependent signalling in DKD. If so, the next step would be to determine whether circulating levels of soluble CD28 are modified by CTLA4-Ig treatment (as a result of the competitive binding of CTLA4-Ig to podocyte B7-1), making CD28 a suitable peripheral marker of treatment efficacy. Finally, not all individuals with diabetes and kidney damage follow the albuminuric pathway to renal impairment, and the mechanism(s) of DKD progression in the absence of proteinuria is not clear. One could speculate that in those individuals with low microalbuminuria who are more susceptible to tubular damage (due to the presence of albumin at this site) as the disease progresses there is extensive tubular damage, detectable as a drop in GFR, rather than glomerular injury and increasing albuminuria. In this case, targeting B7-1 with CTLA4-Ig could limit the worsening of albuminuria and control this pathological pathway. At the other end of the spectrum, GFR decline and albuminuria can be viewed as two different pathways that might or might not converge in an individual patient, and for which different therapeutic approaches should be considered. In conclusion, recent evidence has identified the upregulation of B7-1 as a novel mechanism of kidney damage in DKD. Interestingly, CTLA4-Ig, which is clinically available for the treatment of inflammatory and immunological disorders and which targets B7-1, has been shown to effectively reduce proteinuria in B7-1-positive FSGS patients and therefore can be hypothesised to have beneficial effects on DKD as well. However, rigorous clinical trials must be performed to test the potential therapeutic efficacy and the safety of CTLA4-Ig in the context of B7-1-positive diabetic and non-diabetic kidney disease. RB is the recipient of an AST Genentech/Novartis Clinical Science Fellowship grant, a JDRF Post-Doctoral Fellowship grant and an ‘AMD-SID Pasquale di Coste’ Award. PF is the recipient of an American Heart Association Grant-In-Aid; Italian Ministry of Health grant RF-2010-2303119 and RF-2010-2314794. AF is supported by NIH grants R01-DK090316, U24-DK076169, UL1-TR000460, U54-DK083912 and by the Katz Drug Discovery Center. The authors have no relevant conflicts of interest to disclose. AF is the inventor of a patent application entitled: Assays, Methods and kits for prediction of renal disease and personalized treatment strategies. Application Number PCT/US11/56272. AF is CSO and Vice-President of L&F Health LLC, a company aimed at the development of personalised treatment strategies for patients with proteinuric kidney disease. AF has signed a research agreement with Hoffmann-La Roche, Abbvie, Mesoblast and Bristol-Myers Squibb. PF has signed research agreements with Dompè Pharmaceuticals and Fate Therapeutics that are not related to the topic of this article. RB and AF designed and drafted the article. RB and AF acquired, analysed and interpreted data. AD and PF drafted and revised the article. All authors have approved the version to be published.